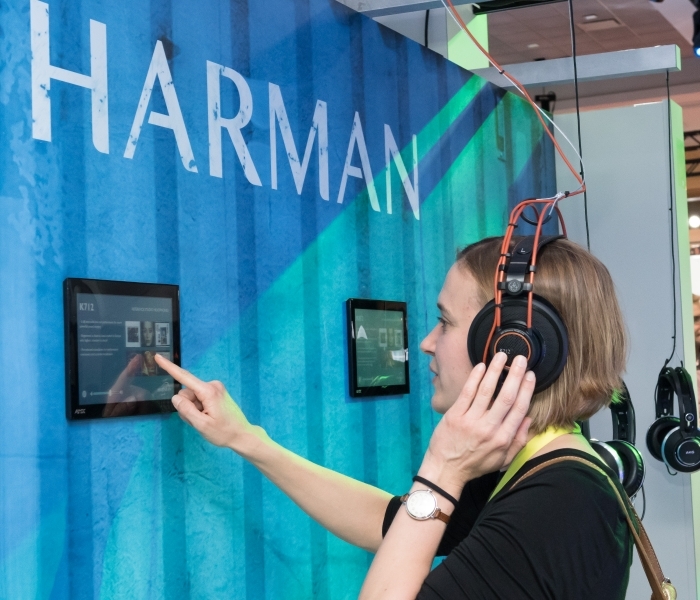 As consumers expect products that deliver highly personalized experiences just for them, HARMAN continues to be at the forefront in moving the conversation from just “connected” to “intelligent and intuitive” – whether it’s in the car, at home or at the office. 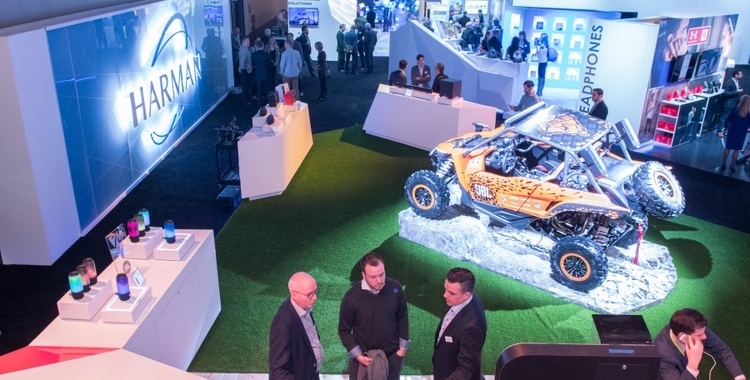 This year’s CES was no exception as HARMAN showcased innovations at the Hard Rock Hotel and Casino in Las Vegas across automotive, audio and enterprise that deliver immersive, personalized experiences. 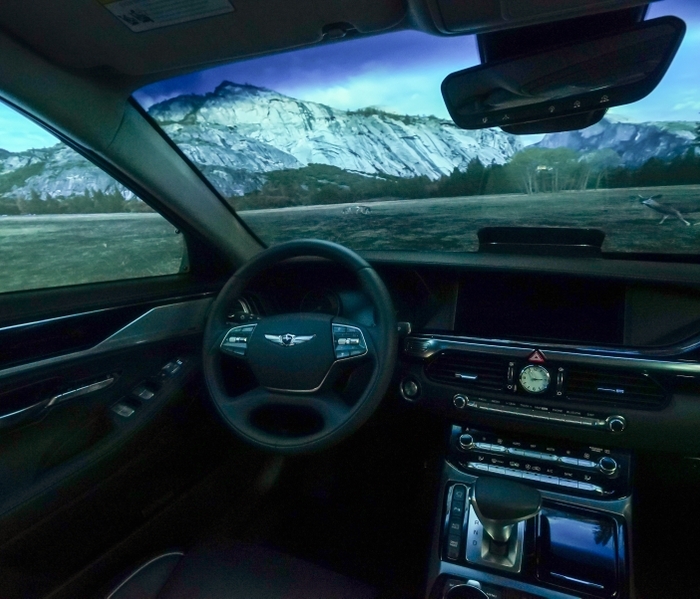 In the car, drivers and passengers expect an in-vehicle experience that is uniquely tailored to their specific preferences and lifestyle. At CES, HARMAN redefined the future of connectivity, autonomous mobility and intelligent personalization with the Rinspeed Oasis concept car. 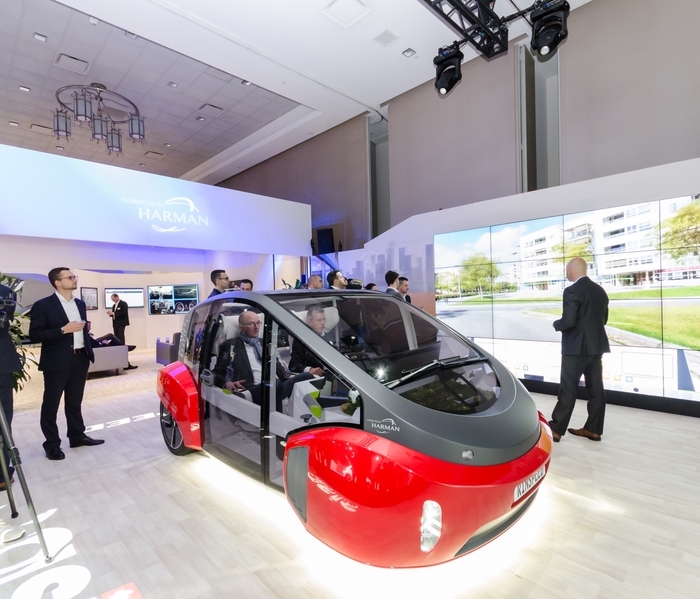 Demonstrating how HARMAN is humanizing the connected car by keeping the driver and the entire in-car experience in the forefront, the concept car includes a series of industry-firsts including full windshield heads up display, augmented reality concierge, predictive collision prevention, and intelligent e-mirrors. Personalizing the in-car experience also extends to audio. As autonomous vehicles quickly become reality, people expect more advanced in-car technology that integrates effortlessly into their lives. 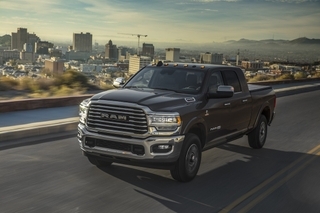 With the growing importance of audio and sound management solutions in both current and future vehicle design, HARMAN launched SUMMIT Next at CES. This smart audio platform is an exciting portfolio of solutions that will transform how people spend time in the car. From today’s cars to tomorrow’s autonomous vehicles, the intelligent, expandable features drive a host of never before possible in-vehicle experiences that elevate the journey for drivers and riders – transforming the vehicle cabin into a personal sanctuary, a high-tech office, a movie theatre or even a favorite music venue, all with the highest level of acoustic performance yet. Audiophiles and music novices demand connected, personalized and adaptive products in the car, at home or in the office and HARMAN’s latest innovations were recognized at CES for delivering just that. HARMAN received nine 2017 CES Innovation Awards for breakthrough innovations like the JBL Everest Elite SDK, JBL BassPro Go, JBL Flip 4, and Infinity BassLink DC. As JBL continues to celebrate its 70th anniversary, it rolled out a line-up of intelligent and highly-personalized audio solutions, including JBL Pulse 3 with a portable Bluetooth speaker with powerful, 360-degree sound and fully customizable LED light system. For those who really want their sound on the go, JBL launched Soundgear, a wear-able sound device that wraps comfortably around your neck and provides personal audio for your ears, perfect for those looking to fully submerge themselves into a complete AR (augmented reality) experience. In the Luxury market, Lexicon showcased HARMAN’s proprietary Sound Steer Technology, allowing the user to create a focused sweet spot that can be adjusted for size and location to suit the user’s personal preference. This allowed optimal sound distribution and accurate stereo imaging in any room, whether sound treated or not. Sound Steer technology puts the user in control, through app control the listener can direct the sound to. The imperative to deliver personalized experiences is also being felt by enterprises. 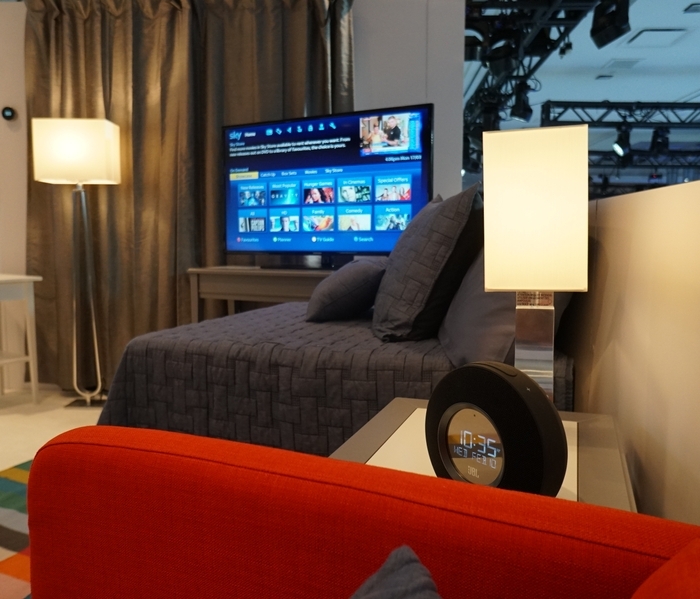 At CES, HARMAN showed how pairing IBM Watson’s cognitive technology with Harman audio, video and lighting solutions bring travelers a consistently more personalized and enjoyable guest experience in a hotel setting. 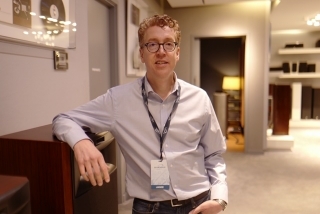 Acting as a personal concierge, voice-enabled cognitive rooms by HARMAN and IBM can intuitively manage the systems in the room with simple voice commands and answer questions relevant to a customer’s stay. Hotels now have the potential for guests to take full advantage of the assets they provide in a way that surprises and delights them. These same options carry over into hospitals and boardrooms, delivering personalized experiences across markets. 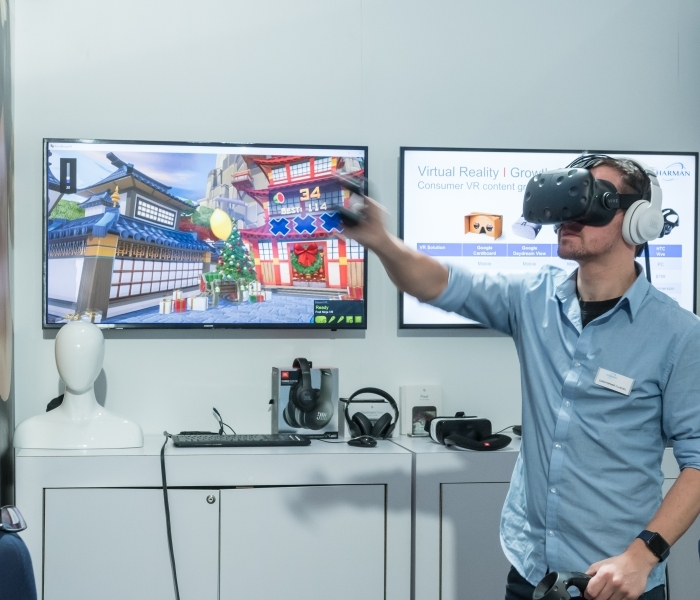 As this is just a sampling of HARMAN’s CES announcements delivering personalized experiences, we encourage you to visit the newsroom to check out the other innovations launched this year.